We don't have to be in a particularly noble job for it to have value. God values our work, and simply doing a competent, intentional, good job is serving both God and others. God asked us to be caretakers of the earth through our work. 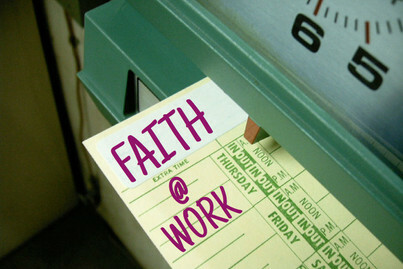 This is the starting point for embracing a spirituality of work. The Gospel story this week is of the two sons who are asked by their father to work in the vineyard (one refuses but then goes, the other agrees and doesn't). Do we competently carry out the work we have committed to doing? We all have the duty to do our work well. If we wish to realize ourselves properly, we may not avoid our duty or perform our work in a mediocre way, without interest, just to get it over with. So while people don't have to be continually conscious of the spiritual dimension of their work, a spiritual person has to do a good job. Which is why, reportedly, St. Augustine bought his sandals from a non-Christian. "I do a lot of walking and need good sandals," he replied when confronted by a fellow Christian. 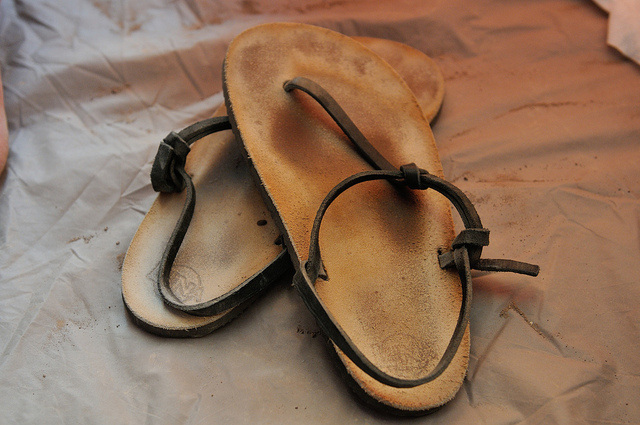 A Christian business person does not manufacture Christian sandals. A genuinely Christian business person makes good sandals. Besides making a living, having a career, or answering a vocation, some people find meaning in doing a good, conscientious job or providing high-quality goods or services to others. Above and beyond (and sometimes despite) their pay, these people really care about the results and effect of their work. They do good work not because someone is watching, not to keep their jobs or get a raise, not even because they feel especially called to the particular work they are doing. To them, it is a matter of pride--not the "I'm better than you are" kind of pride, but the pride that God must take in creation itself. This Superbowl commercial drew an overwhelming response, by making a connection between faith and the work of farmers. It is based on a 1987 speech by Paul Harvey. On a lighter note, we have all experienced people who have not been the most competent in their work, and know how frustrating that can be. Here are some internet memes that point out when folks are not giving their best at work. Don't be that person! What difference does it make to me when I consider that God cares about my work? What step can I take this week in response? Photo of sandals above by Michael Saechang, Creative Commons.